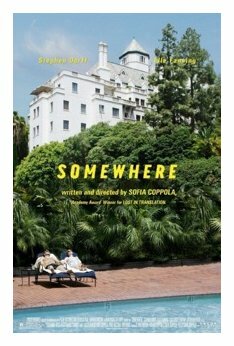 I could not resist the soundtrack of Sofia Coppola’s latest film Somewhere and had to share it here with my Ajnabee friends. The list below is for you to find the songs on ITunes, though a few aren’t so easy, like the Jannacci song, which is an exclusive for the film. The other option, of course, is to purchase the CD, which I still can’t find anywhere, including my beloved Amazon.com… But by getting a little crafty and creating my own playlist, I enjoyed decorating my tree to the sounds of Gwen, Phoenix and the Foo Fighters, while feeling the company of my new favorite romantic hero, Johnny Marco, which was all the holiday experience I needed. N-joy the list below, read my review and go watch the film in theaters. You’ll thank me for it! This entry was posted on Monday, December 20th, 2010 at 8:41 am and is filed under On My IPod, The List. « B-Wood’s Akira Kurosawa Song. What?